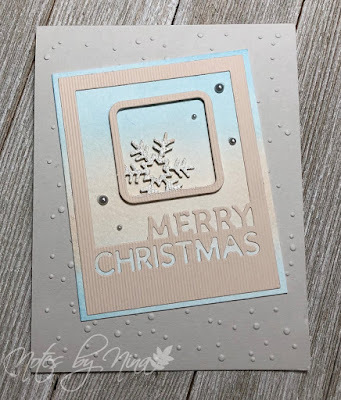 Rain Rain go away.. 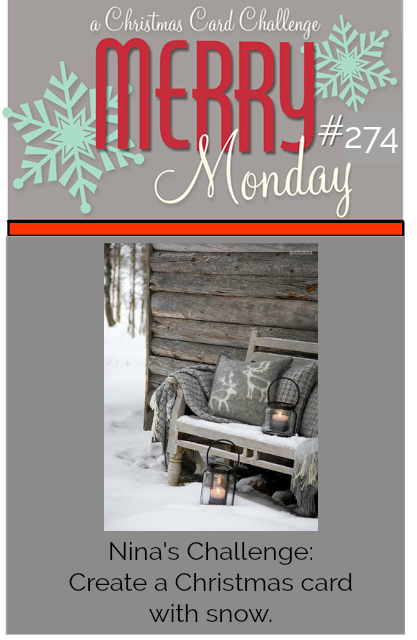 I am not really complaining, just a little in awe at the volume of rain that has fallen over the past week. 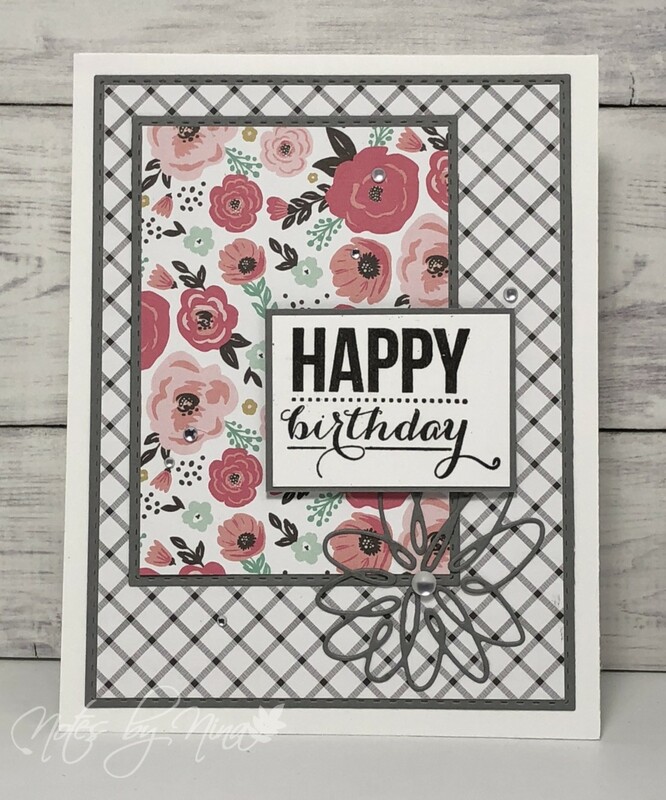 It is a perfect evening to spend some time in the craft room, chatting on Facetime with my sister as we play along with the current Tuesday Morning Sketches challenge. 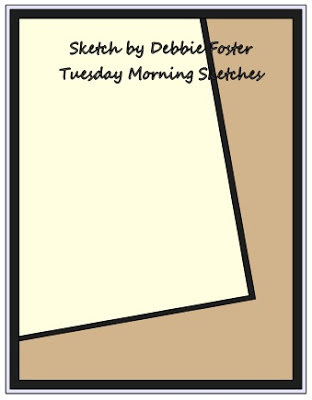 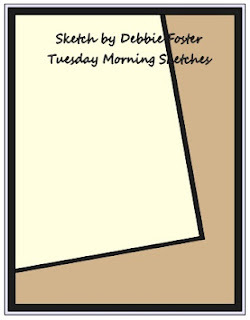 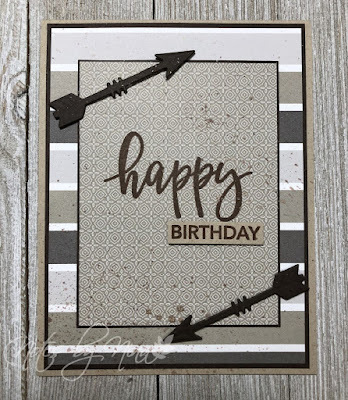 I love this simple sketch and it worked perfectly for my masculine card. 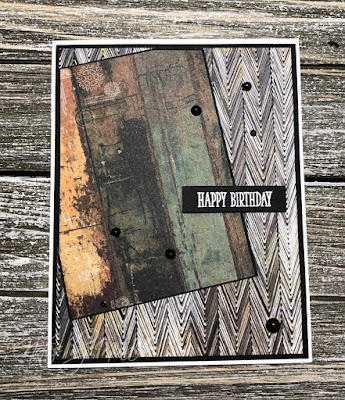 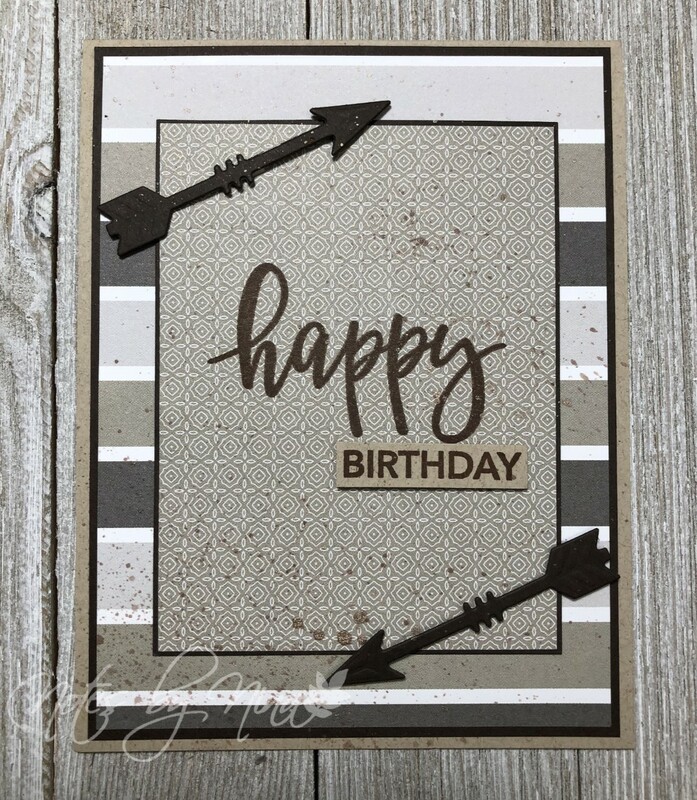 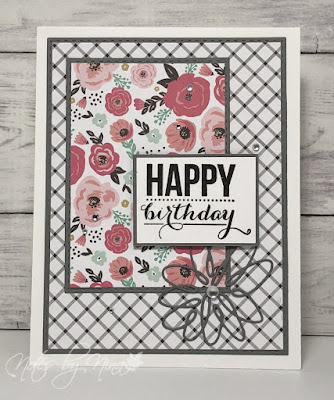 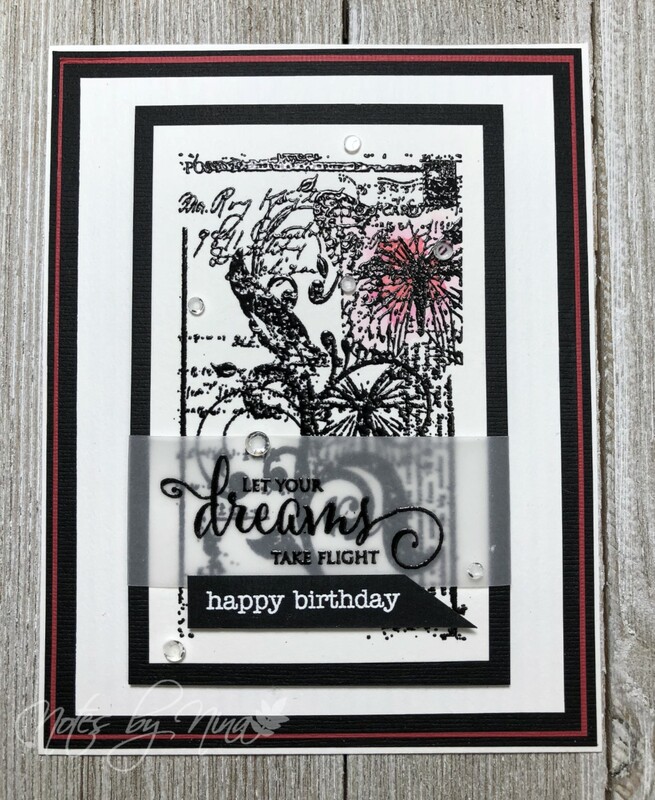 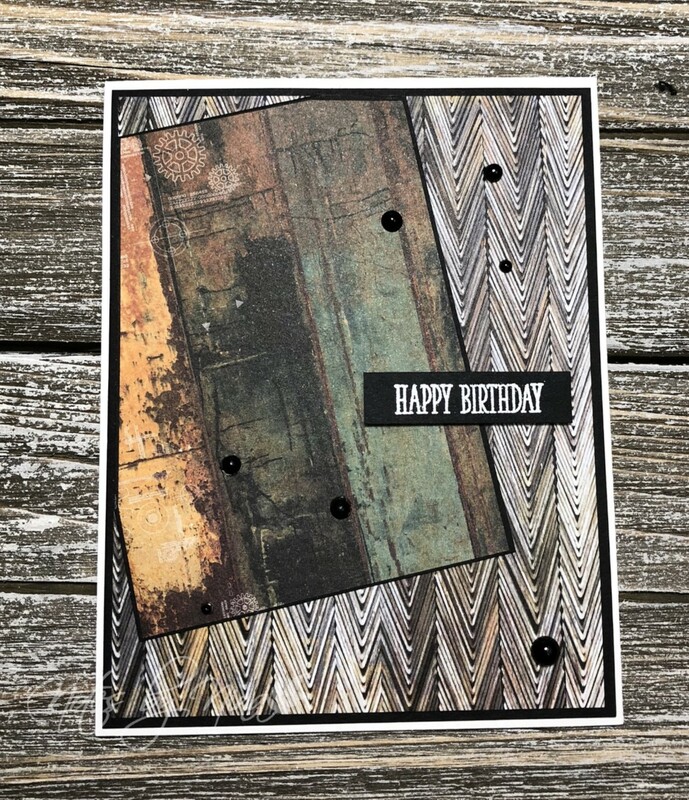 I layered both panels with black cardstock and used this grunge style designer paper. 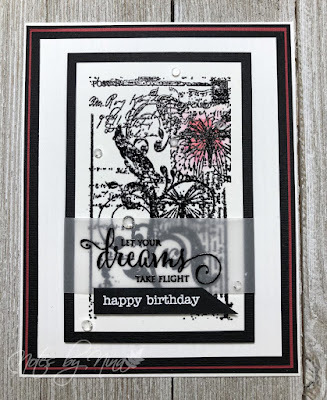 I heat embossed the sentiment in white on black cardstock then finished with some half pearls. I am back - sorry I missed last week, the flu got me down and it took me a little time to get back up to normal. 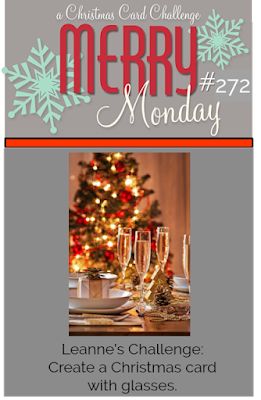 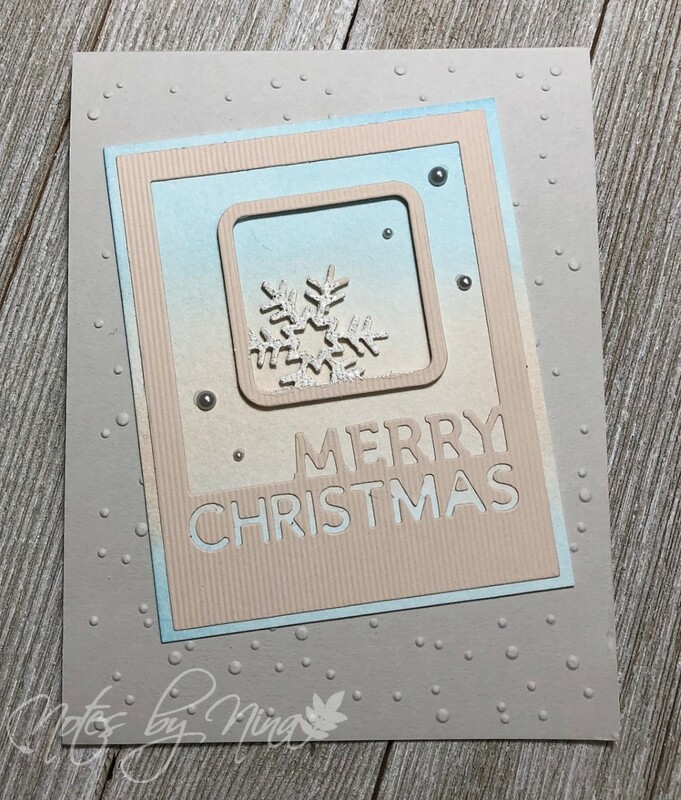 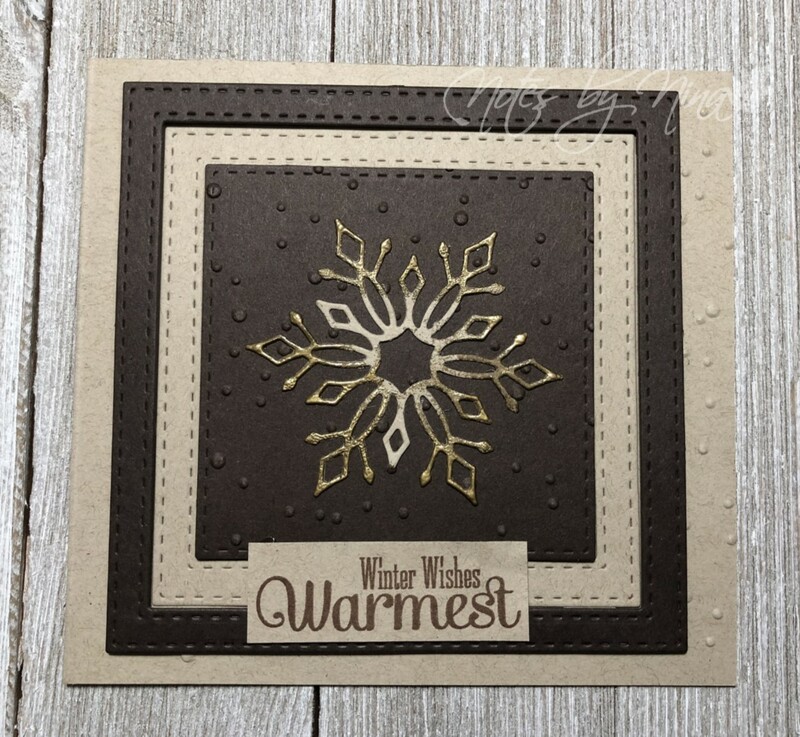 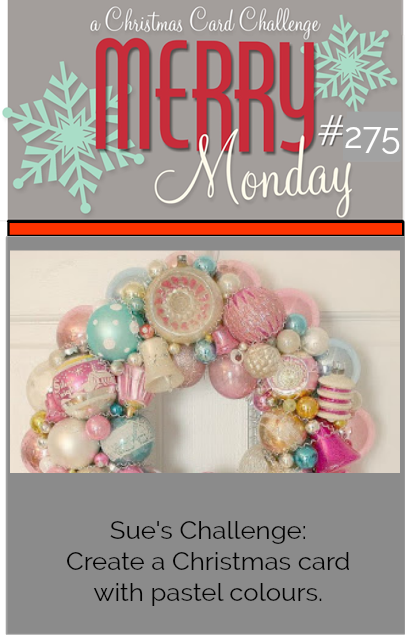 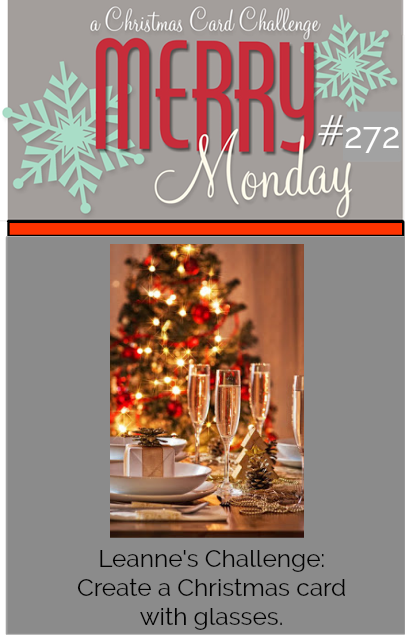 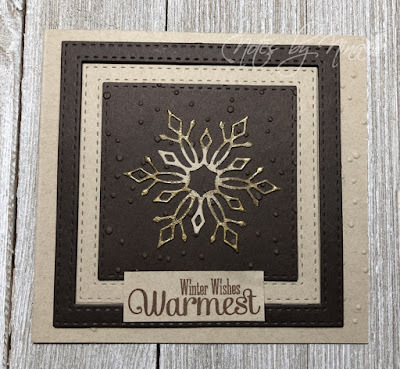 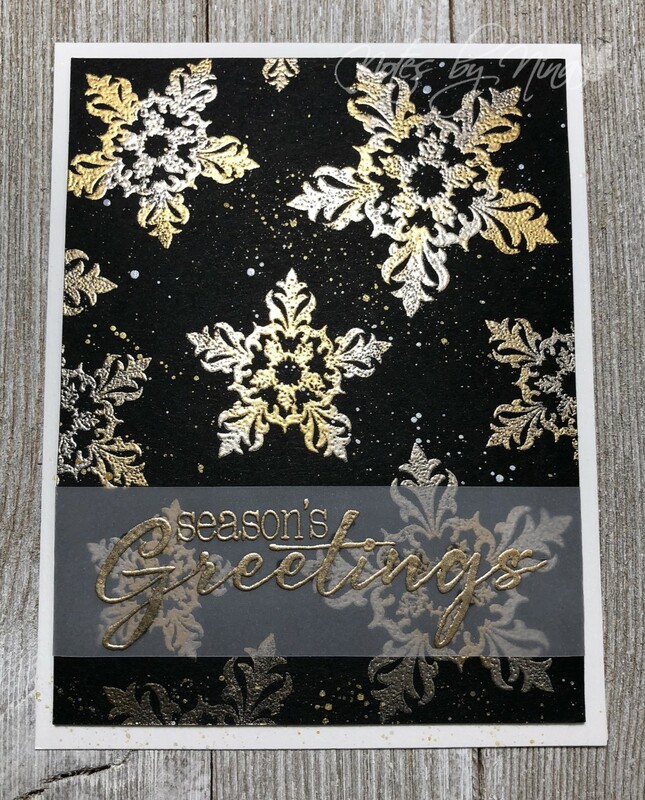 We have a new Merry Monday Christmas card challenge, I am your hostess this week and my challenge is to Create a Christmas card with snow. I think this challenge leaves it pretty wide open for options. 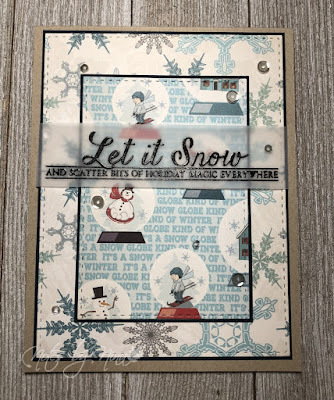 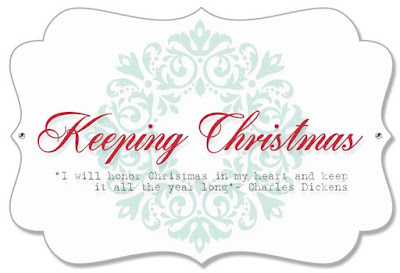 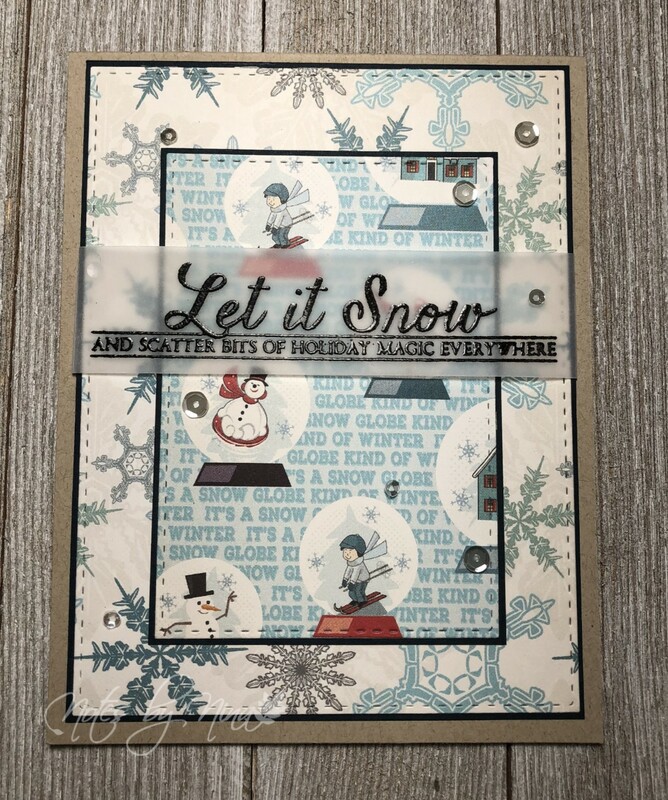 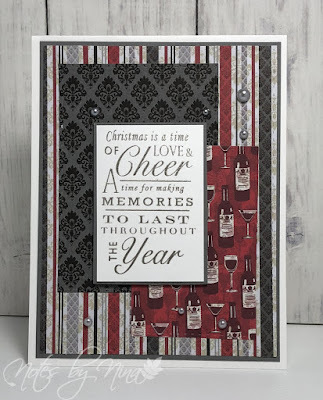 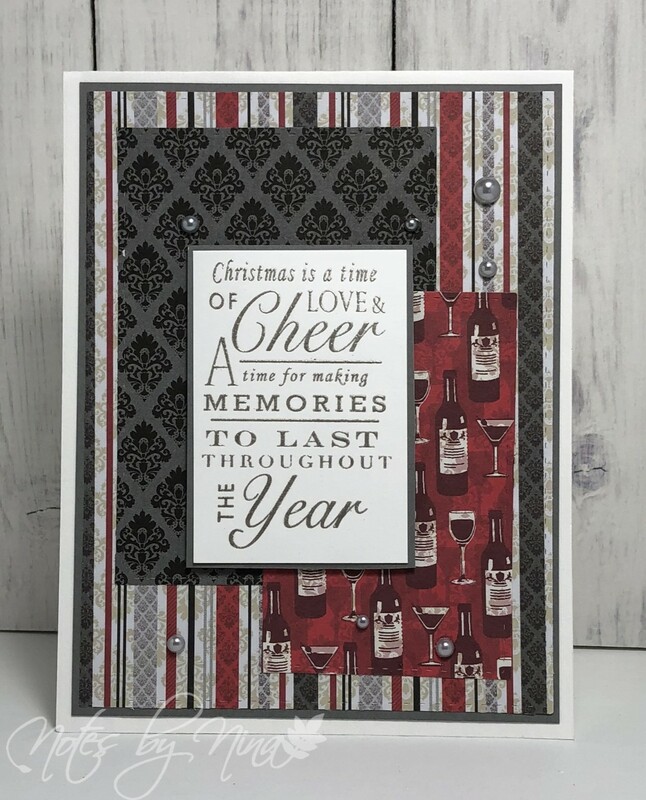 I chose to go with snowflakes and mini-scenes that are included on the designer paper I used. I heat embossed the sentiment on vellum then finished with some sequins. 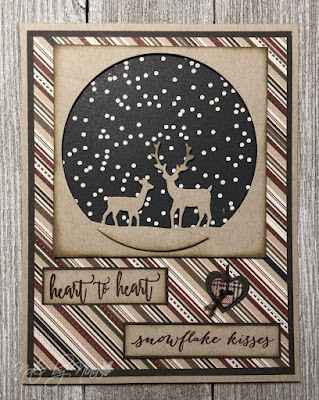 Supplies: Kraft and navy cardstock, Vellum, Designer Paper - Carta Bella, Papertrey Ink - Two Feet Deep , sequins. 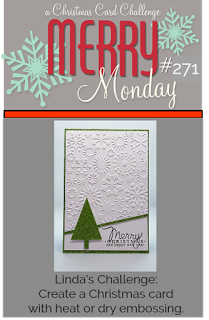 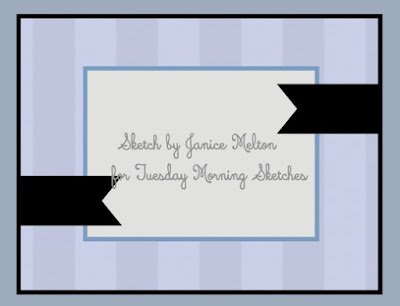 Be sure to stop by the Merry Monday blog to take a look at all the fantastic cards created by the design team.